If there is one thing that you can always rely on, it is the absolute unreliability of the British weather. While our continental cousins in Switzerland or the French Alps can prepare for the worst, knowing that the worst will definitely come, things here in the UK are a little trickier. According to the Met Office, February temperatures can range from -15°C to a positively balmy 15°C. This uncertainty causes problems every year as sudden cold snaps and surprising snow flurries bring chaos to British roads. And experts are already predicting that February 2018 could be the coldest on record. With anything possible, the key to conquering the UK winter is to be adaptable. 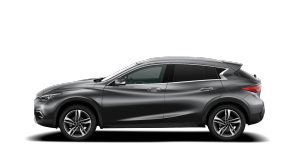 And that is where the INFINITI QX30 excels, with Intelligent All-Wheel Drive sending power to rear wheels just when it is needed most – giving you the confidence to tackle anything from icy weather to heavy rain. 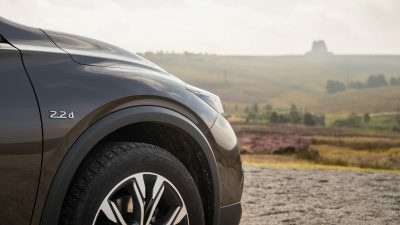 Then, when all-wheel drive is not needed, all of the QX30’s 170bhp of power is channelled to the front wheels for a smoother ride. Adaptability runs through the car’s styling too. 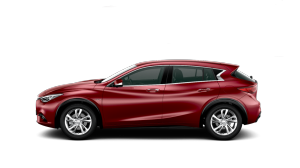 You might think an all-wheel drive car would look out of place in the city – but not the QX30. 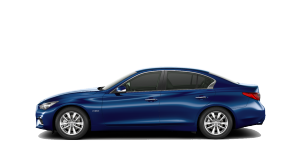 Dramatic lines and creases create a stylish silhouette, augmented by signature INFINITI touches like an imposing double-arch front grill and human-eye inspired LED lighting. 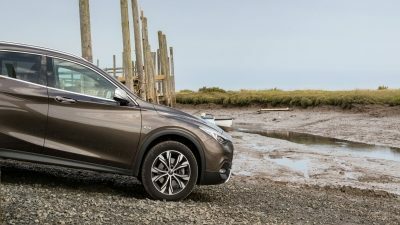 And when it comes to beating the winter weather, the QX30’s elevated stance comes in very handy indeed – giving you a commanding view of what is around you, as well as the ability to overcome rough terrain while steering clear of dirt and debris. 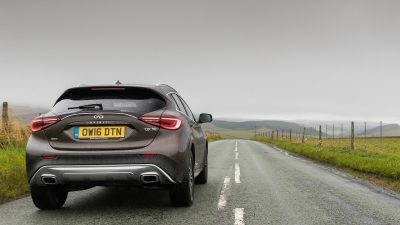 Whatever the weather conjures up outside, inside the INFINITI QX30 you can create a luxurious home from home – albeit one packed with INFINITI technology. 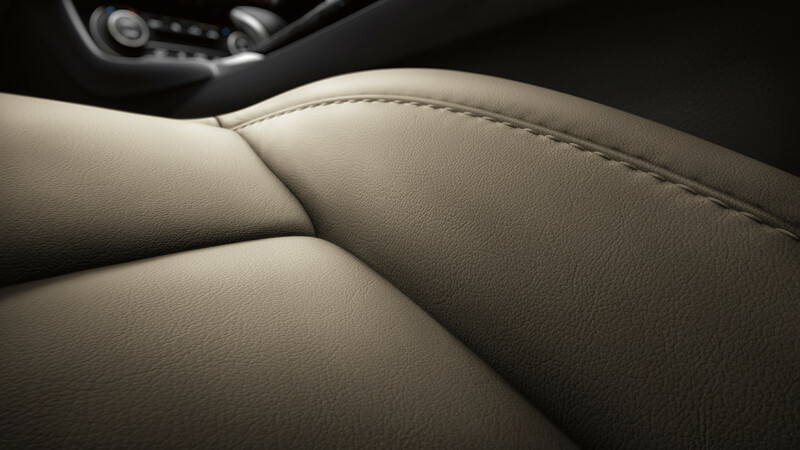 Premium materials like suede and Nappa leather provide a sensory experience like no other, while options like heated seats and Dual Climate Control ensure the cabin is a cocoon of comfort. Staying connected to the world around you is especially important in challenging conditions. 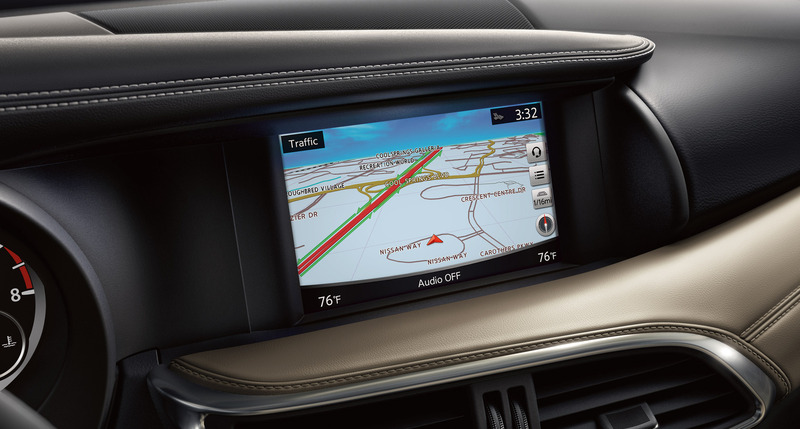 INFINITI’s InTouch™ infotainment system will do just that, helping you find your way (useful if traffic or conditions make roads impassable), check emails or texts, listen to playlists, and make calls. 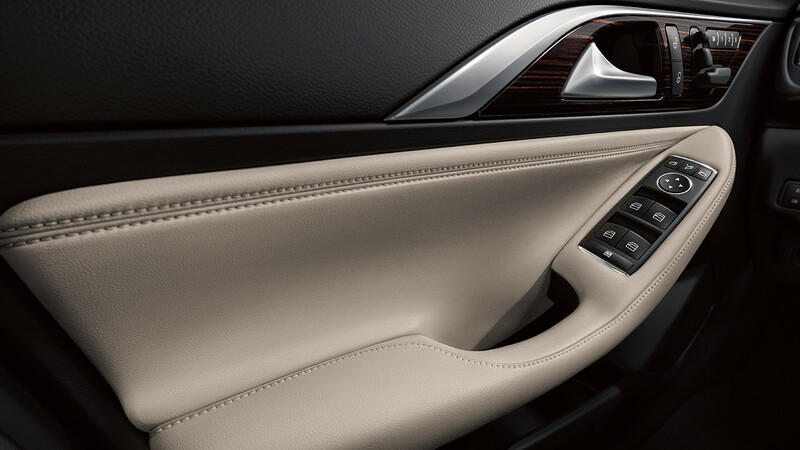 And all via the intuitive 7” colour touchscreen or even simple voice commands (allowing you to focus on the road ahead). INFINITI has always been known for its technology, quietly collecting an impressive collection of world firsts in the automotive sector. 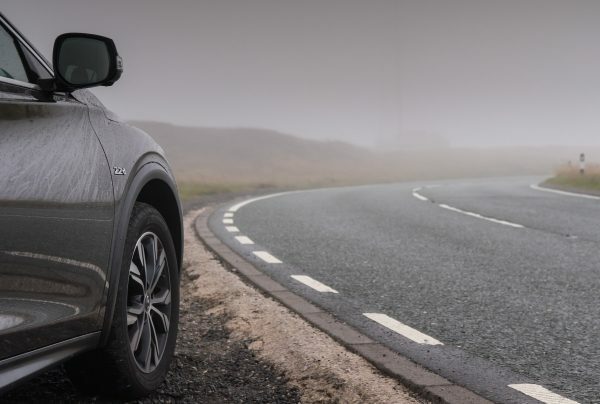 Many of these innovations are very much safety-focused, giving you added confidence when driving the QX30 in unfavourable weather. One especially suited to snow, ice, rain or fog is INFINITI’s Forward Emergency Braking feature. 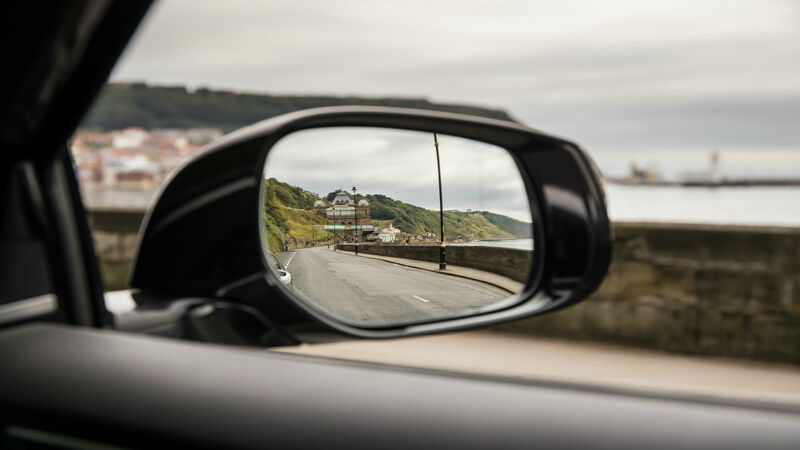 This technology keeps an eye on the road ahead, alerting you if you get too close to the vehicle in front. 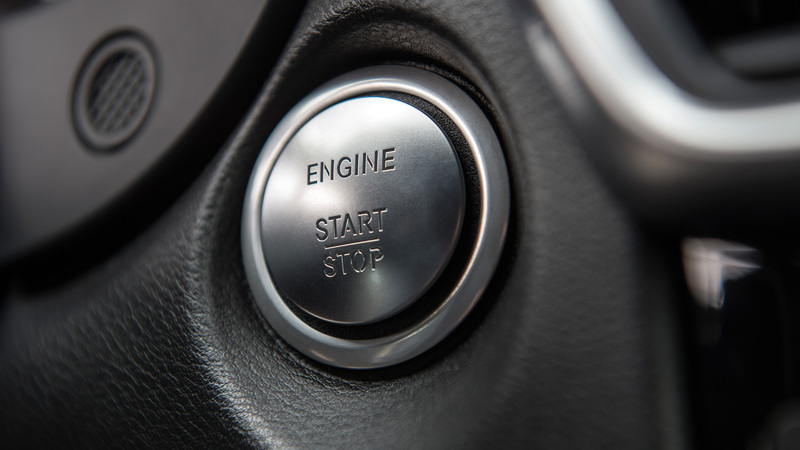 Should you need to stop quickly, it will even automatically lift the accelerator and apply the brakes to minimise or even prevent potential collisions. 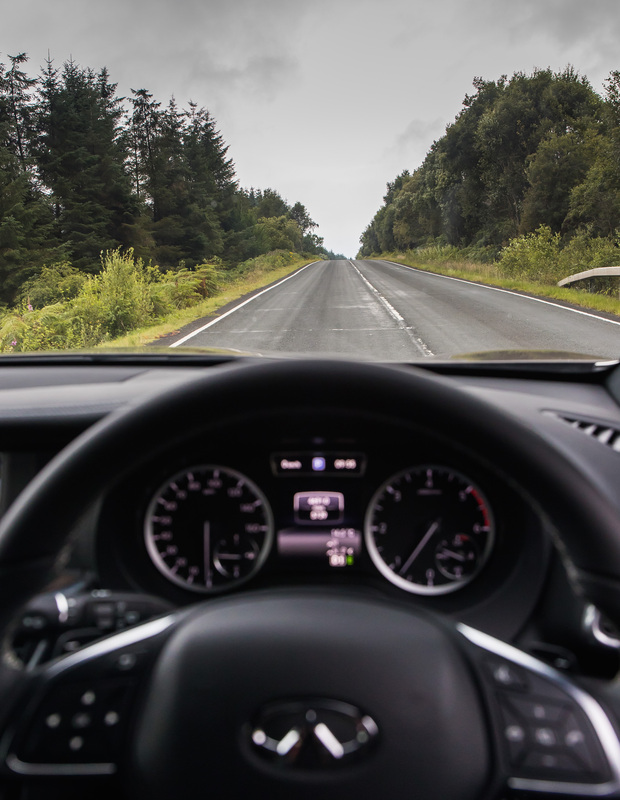 There is also technology working quietly in the background to correct over or understeer, and to apply just the right amount of pressure to each wheel to improve braking performance – perfect if conditions are slippery. It pays to be prepared. With the QX30, you will be ready for anything.